Nowadays, the most common precious metals to invest in are gold, silver, palladium, and platinum. Given that these elements are rare, they have a higher value which makes them worth the investment. All over the world, these metals have been used to signify wealth or social status. These metals are a tangible and recognized form of currency. However, if one is just beginning to invest in these precious metals, then what is the right way to begin? Here is a complete guide on investing in precious metals like gold, silver, etc. What Do You Want? Before we begin with the investment guide, it is necessary to understand what you are interested in and what your goals are. Where do you expect yourself to be after the investment and a long time from now? Try to reflect on your interests and understand your vision and goals. Write as many of these reflections down as possible. This will better help you understand in which direction you should go in with your investments. Understanding Basics Once you have an idea as to what it is that you want, we can now move towards the basics of investment in precious metals. There are multiple ways to invest in these metals. Some of the popular ones include purchasing physical metals, buying contracts, retirement accounts, and mutual funds. Now that you have an idea with the basic types of investments, we can try to understand how to get the best of deals. In precious metals investment, some of the popular pricing terms are known as spot price, premium, and spread. Spot price is the market price in any present moment and is known to fluctuate from time to time. Premium is the additional cost on top of the spot price, and includes other fees such as fabrications and distribution. Spread is known as the difference in the purchase price and the price that the dealer pays. When it comes to storing these precious metals, one has several options that they can take. One of the first ones is home storage, where you can safely keep it with yourself. Next is bank vaults where you can deposit your precious metals to banks. Finally, there are precious metal depositories that you can reach out to as well. When to Buy? It’s difficult to understand when it would be the best time to buy. You need to monitor the prices of these precious metals and then make sure the market is going to be in a good condition in the future. It is all about making a long-term profit, therefore, monitor the prices closely and reach out to advisors to know when the time is right. Getting Started Now that you have the basic understanding about precious metals and their investment, it is time to reach out to an adviser who can guide you with beginning your investment process officially. You can do this on your own as well through some online research. However, for beginners it is better to get some external support. Precious metals like gold, silver, platinum and others have a large monetary value associated with them. In order to maintain the condition and well-being of metals, it is necessary to handle them right. point where there is no return. ensure that they are washed thoroughly. suggest you handle them carefully. ensure no damages are caused. states as well. Separate your precious metals in order to handle them with best care. value of the various cryptocurrencies in the market. The question remains, which investment is better? makes precious metal a comparatively less risky investment. might be detrimental when the next financial crisis strikes. it has. Since cryptocurrencies remain largely decentralized, the profits earned through it are high. currency to do so, if it is to become a mode of transaction, it might be an excellent asset to have. the risk-free, cautious side of me will tell you it is always better to go for precious metals. future of investing in precious metal, you mind directly goes to gold. positive for each of them. Why Should You Invest in Precious Metal? available? Well, here are two reasons why you should opt for this form of investment. be a dip in the value of the currency or your asset, households tend to largely remain unprotected. decrease and if history is to be believed, precious metals do not suffer as great of a dip as currencies. investing in metal along with bonds and share, you decrease the risk you are exposed to. into account, it seems like a profitable investment. Its price is much more stable and consistently high. For most people, the most evident difference between gold and bitcoin is that gold is physical whereas bitcoin is digital. Yet, the differences between both run much deeper. Gold is a precious metal which is utilised as a medium for exchange. It’s also used in manufacturing, technology and jewellery and even for keepsakes. Gold is tangible and is regarded as a long-term investment alternative. Bitcoin, on the other hand, is a crowd-sourced, coded currency which didn’t exist until 2009. It’s the world’s very first decentralised digital currency. The new system for virtual money was proposed by a software developer named Satoshi Nakamoto in 2008. It was made available for public use in 2009. This system enables members of the bitcoin community to be able to mine new bitcoins using open-source software and solving extremely complex mathematical equations. The complete supply that may ever be mined is limited to 21 billion. Bitcoins are represented by the record of transactions between different addresses. These addresses consist of sequences of numbers and letters generated randomly. Users can purchase bitcoins by using a different sequence in the form of a personal key which is kept secret. The miners verify all transactions. Bitcoin offers its users with an elite trading experience. Unlike the British Pound or the American Dollar, bitcoin is frequently referred to as cryptocurrency. It isn’t regulated by any central bank. This means, in theory, the virtual currency is democratized, decentralized and can be accepted anywhere in the world. This also means that bitcoins are unregulated. This opens the door to corruption. Bitcoins don’t carry any information which can be used for personal identification, such as a physical address or names. It’s potential for anonymous transactions made it attractive on the black market. Bitcoin is crowdsourced. This means that its value is completely dependent on the participation of the community. In its initial years, it benefited from a particularly enthusiastic base of investors and developers. Considering both bitcoin and gold’s value, the first aspect to be considered is the stability. While several believe bitcoin presents the capability for a better currency, conventional investors rely on gold’s track record and historic value. Bitcoins are pretty much still in their youth and still have many years to go before investors see a reliable profile. Gold is a physical currency which is accepted all over the world and has been for hundreds of years. But, gold is limited and there’s only so much that can be located, mined and refined. These factors make it an extraordinary commodity and therefore give it its value. Gold has been the practical choice signifying money due to its rarity, durability and simplicity of divisibility. Both the innovation and success of bitcoin as a virtual payment system must be admired. There are still many issues which need to be addressed in terms of sustainability and security before customers are encouraged to accept or use it. It’s also believed that bitcoin may eventually become a viable investment option but it will never surpass the versatility and stability provided consistently by gold. You could be looking to collect coins or protect your income against inflation or account bullion into the Precious Metals IRA. Whatever be the reason, gold bullion is a great choice to make an investment in. Investing in gold can help secure your future. It offers investors liquidity, lucidity and a real potential for long-term returns. However, to truly benefit from your investment, you must purchase gold at the best price and should be able to sell it easily. Here is a list of the best gold coins to make investments in. 2017 brought the newest issue of the first .9999 purity coins in the US. The American Buffalo Gold Coin has been launched by the US Mint. It easily competes with pure foreign coins like the Gold Britannia and the Canadian Gold Maple Leaf. Nonetheless, it became admired because it’s a call back to the famous Buffalo Nickel in 1913. On its front side, it features the visual rendering of a Native American. On the reverse side is an American Buffalo which is inspired by the Black Diamond Bison which, during 1910, lived in the Central Park Zoo. Its much-loved design and high fineness make it a precious addition for any collector or investor. RCM’s adored Canadian Maple Leaf is an iconic coin available on the market and is among the best for investments. Its well-known maple leaf design is famous all over the world and a sign of Canadian heritage. Also, its .9999 purity makes it a great option for IRA savings and a must-have for numismatists. It’s famous for its exclusive security enhancements. Owing to its innovative and high-tech security characteristics, this coin is practically impossible to forge. This is one of the main reasons many investors choose it over the other options. RCM also presents this coin in monster boxes and in rolls. It’s a famous bullion coin. This impressive piece celebrated its 30th anniversary in 2017. The Royal Mint released it in the year 1987. The Mint issued a unique privy mark Gold Britannia to honour this event. On the reverse side, the figure of Britannia, the embodiment of the British Isles (ever since the 1st Century) is visible. The proud Britannia is a representation of national spirit, strength and power. Its .9999 fineness makes it qualified to be included in the Precious Metals IRA. Bullion exchanges are the best place to purchase gold coins online and also in store. Choose the best bullion gold coin and protect your wealth against potential financial turmoil. Investing in Gold Coins or Gold Bars: Which is a Better Choice? Gold is a stable, smart and lucrative investment option when it comes to protecting you from currency depreciation and other financial crises. If you’ve decided to invest in precious metals to add to your portfolio, you should take some time to consider whether to invest in gold coins or gold bars. Whether you’re new to investing or not, it’s recommended that you make an informed decision depending on your individual needs and purpose of your investment. In this blog post, we’ll cover the pros and cons of both gold coins and gold bars and explore the most suitable investment option for your portfolio. One of the major advantages of gold bullion coins is that they’re produced and recognized by the issuing government’s mint. The coins come with face value, year of issue, weight, and purity stamped on them. Unlike gold bars, bullion coins with their unique designs can become costlier per ounce and are inherently collective. Here are the pros and cons of gold coins as an investment. - They offer a wide and diverse range of options to choose from in terms of design, size, weight, and valuation, unlike gold bars. - Since they’re considered a legal tender and available at lower value denominations, bullion coins offer easier liquidity. - With their small size and shape, they can be easily stored in single or multiple safe locations. When stored at home, they’re also less obvious than gold bars. - Some gold coins are limited mintage, rare or collectables which possibly make a return on investment exceed the gains from the appreciation of the base metal over time. - When buying gold coins, you’re charged with a premium that increases their cost above the actual gold spot price. Premiums are the additional cost attributed to manufacturing, packaging, handling, insurance and delivery costs. - Not all coins are 24-carat. Some coins are 22 carats or even lower and when it comes to dealing with fractional purities, this makes it difficult to value your new coins. - You need to verify the legitimacy of the supplier and the mint before investing in gold coins that don’t come with a certification. They’re significantly larger in size and shaped in a rectangular slab. Produced by private mints, gold bars are available in many denominations and sizes. Here are the pros and cons of gold bars as an investment. - Gold bars offer minimum premiums over the actual market price of gold. - Most gold bars are 24-carat, which means they’re 0.9999% pure gold. - Being certified, they enable new investors to quickly build a balanced portfolio. - Owning a large chunk of a single community can put you in higher market risk. Although they offer the best value when purchasing, the resell value isn’t the best depending on the spot gold price. - Since gold bars aren’t considered a legal tender, it’s harder to liquidate large gold bars. Adding gold to your investment portfolio is an excellent move and now that you know the pros and cons of both, you can decide better. Larger gold bars are ideal for you if want to invest a large amount of money and plan to keep your gold for a long time without selling it. On the other hand, if you’re planning to invest in gold for releasing part of it for cash during financial crises, gold coins make a better choice as they offer greater flexibility at resale. Depending on your personal preference and taking into account all these considerations, invest in bullions that offer the best intrinsic value of gold for your budget. What’s the Difference between Cast and Minted Gold Bars? Since its discovery thousands of years ago, the processes of refining gold and minting gold bars have improved and evolved numerous times. This has given the average investor many different options of gold bars in terms of types, sizes and brands. Depending on the manufacturing process, gold bars are mainly classified into two types – Gold Cast Bars and Minted Gold Bars. In this blog post, we’ll discuss these two types of gold bars and their differences. They’re also known as ‘poured’ or ‘molded’ bars and are known for their traditional manufacturing process. A mold is created first to ensure that the gold bars are formed of proper sizes, shapes, and weights. The gold is then heated to a very high temperature till it becomes liquid and is poured into the mold. Gold solidifies quickly and when it cools, it’s taken out from the mold. Cast bars are natural looking than the other types of manufactured gold bars. It comes with only a simple engraving of the details of the gold bar and its manufacturer. The engraving is done within a few hours of taking the gold from the mold. These bars are available in different weights such as 1 ounce, 2 ½ ounce, 5 ounces, 10 ounces, 20 ounces and 50 ounces. Minted gold bars are very popular with investors. They’re the most commonly known gold bar type with a brilliant shine and perfectly clean finish. The manufacturing process of minted gold bars is both time-consuming and expensive than gold cast bars. During the early phases of manufacturing minted gold bars, they were traditionally processed like cast bars through a compression machine to have a more uniform shape and size. Although this process is still in use, a continuous casting machine is used these days to make minted gold bars. The weight and size of each of these bars are inspected carefully and all imperfect bars are put into a large furnace to soften them and strike them back to perfection. Apart from differences in their manufacturing processes, gold cast bars and minted gold bars also have different advantages and disadvantages. Appearance: The casting process, though simple, creates unique irregularities, ruggedness, and blemishes on individual cast bars. They’re also a little rough at the edges. No two bars are the same. Minted gold bars, on the other hand, are cut down from a long strip of processed gold metal which eliminates the chances of any marks or blemishes. Pricing: As the casting process is cheaper than the other manufacturing processes, gold cast bars are available at a lower price. They’re ideal for investors looking to pay the lowest premium over spot gold prices. Minted gold bars are mostly available at a higher premium because of their complex and expensive manufacturing process. 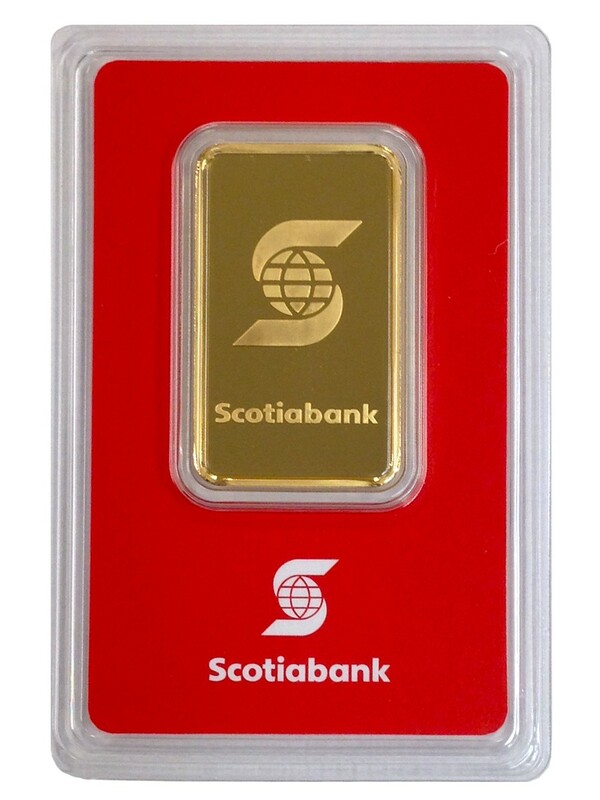 Packaging: Minted gold bars are securely packaged and often a significant portion of their value depends on the packaging. Opening the packaging may devalue these bars, unlike cast bars which you can touch with your hands. For this reason, investors and collectors often consider it as a drawback of minted bars. Selling Gold: If you want to sell your gold for cash, minted bars are easier to resell than cast bars. This is because of their perfection in size, shape and design over gold cast bars. Each type of these gold bars is used for a different purpose. Gold cast bars, although very popular among collectors and investors for their traditional nature, are usually known to have the least return on investment. Minted bars are expensive to buy but they have better resell value. You should make your gold bar investment decision based on how you intend to use them. Market Commentary Gold was static, opening the day at 1325.00/1326.00. After the open, the metal rose to a high of 1327.00/1328.00 on dollar weakness following weaker-than-expected U.S. retail sales data. Shortly thereafter, the dollar recovered and gold retreated on selling interest to a low of 1319.25/1320.25 as U.S. equities (S&P) edged to a new record high. Platinum prices fell to a 1-month low while palladium prices were steady as gold firmed up to eventually close the day at 1321.50/1322.50. Silver was virtually unchanged, opening the session at 17.69/17.74. It touched a high of 17.82/17.87 before declining to a 2-week low of 17.58/17.63. Thereafter, silver improved to conclude the session at 17.61/17.66. Technical Commentary Gold closed lower today, at 1322. Support is firm at 1321.60 - the 23.6% Fibo retracement level of the July-September rally. Resistance is at 1357.80 - the recent high. MACD is bearish and momentum has declined; however, I remain bullish as long as gold closes above the 23.6% Fibo level. Silver closed lower today, at 17.64. Support is unchanged at 17.51 - the 23.6% Fibo retracement level of the July Low - September High range. Resistance is at the $18 level, followed by 18.23 (recent high). MACD has turned marginally bearish and momentum has fallen sharply. I remain bullish on silver as long as it closes above the 23.6% Fibo level. The gold-silver ratio closed higher today, at 74.94. Resistance is at 77.31 - the previous month’s high, with near term resistance at 75.11 - the 100 day MA. Support is at 73.07 - the 38.2% Fibo retracement level of the 1-year rally from July 2016 to July 2017. We all know that gold is valuable, but we often sell them to the wrong buyers. Selling gold for profit can be lucrative, but it requires quite a bit of background knowledge about the market and your items. If you have gold that you no longer want, it can be sold off and turned into cash. Here are some tips to help you make the most of your decision to sell your gold. Regardless if you have gold bars, coins or jewellery, you’ll find the karat stamp printed somewhere on the item’s surface. It can be seen with the help of a magnifying glass. Typically, jewellery contains around 10, 12, 14, 18, 22 or 24 karats of gold. Any piece with an 18 karat stamp contains 18 parts gold and 6 parts of a different metal. Higher karats mean a higher value for the gold. Any reputable jeweller will always weigh the gold before paying for it. The final price is determined by both weight and karats present in the piece. The amount is decided by grams and not by pennyweight. Always note down the exact weight for each piece of jewellery. The current gold prices can be checked online. These are up to date with the current market value and can be trusted. Also consult local jewellery shops and newspapers. Just remember that the price of gold is always changing and the price of gold in your area may be different from the price in a different area. When you want to sell your gold, get prices from several jewellers, pawn shops and other buyers. A free estimate of your valuables can also be requested. This allows you to receive the best price for your piece. Also, it’ll serve you well to be patient. The price you’ll receive will include the expense of turning the gold into bullion and the dealer’s own profit. You might receive a fair price from jewellers hoping to establish a good relationship with you. Just be careful with pawn shops as your relationship with them is more likely to be one-and-done, so they take advantage of you. They might convince you to make a hasty decision. Always remember to be patient, careful and well-informed. Knowing how to sell your gold is easier than you might imagine. The internet can be utilised to look for jewellers near you. Word of mouth might be slow, but it’s efficient and time-tested. Certain jewellers offer free estimates for your gold piece and can be referred.